Just wondering if the cassettes are plugged in to some sort of electrical harness? If so is it advisable to disconnect the battery first. 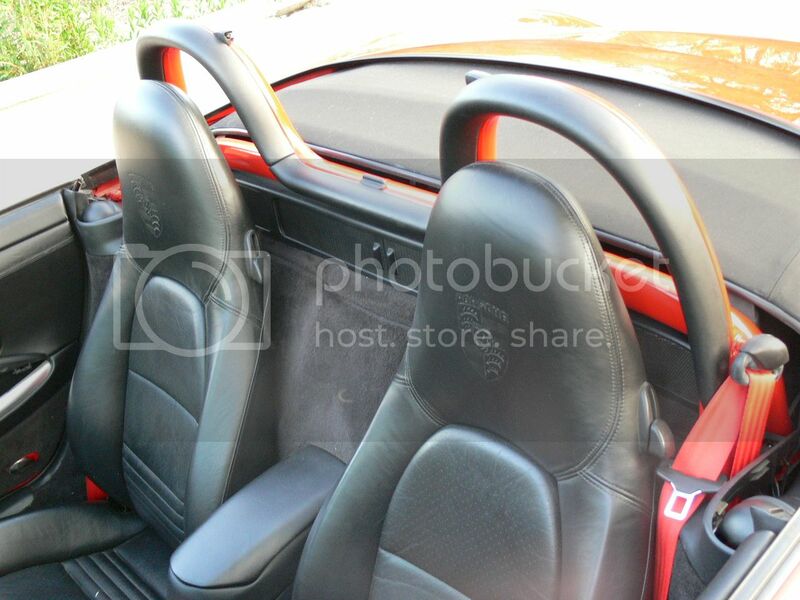 Red seat belts, yellow car, black interior? To each his own as I always say but I have to agree that too many colors creates a "competition" for the eyes and it's not good. Red and yellow clash anyway. We didn't you paint your calipers in a more matching color like black or yellow? Again, if you like it that's all that matters and you can disregard the ramblings of others. You work looks good so keep that up! To each his own and if this was in a Ford Fiesta i could let it go but not in what is a decent looking Porsche. Yellow seat belts would work ok. Anyway apart from commenting on the visual i don't believe they are bound into any electronic systems, the buckle is but the belt isn't. 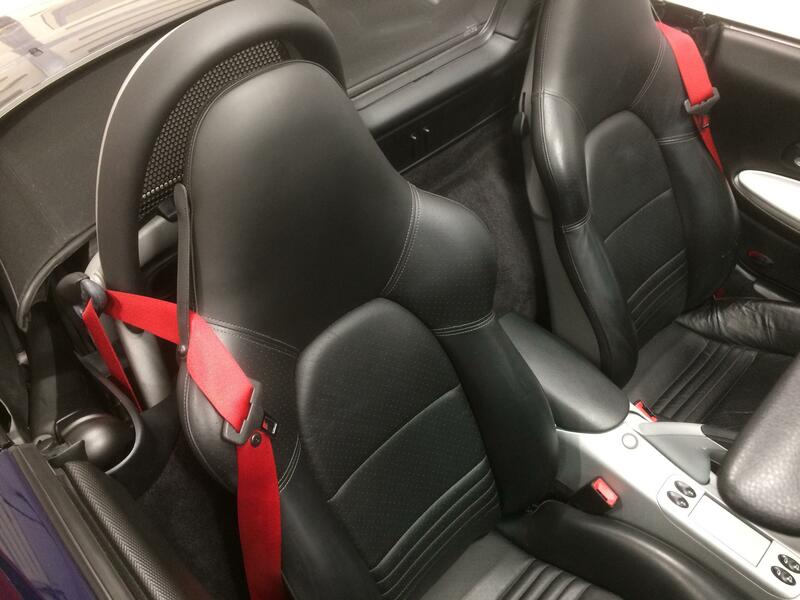 The interior is actually metropole blue, I think red seat belts will highlight the callipers that came from the factory red so are staying that way. Could my SY 986 been supplied with yellow callipers when it was new? No, yellow calipers come with ceramic brakes. Im glad I kept it stock then. Am I correct in thinking red seat belts were an option? I believe all coloured belts were an option. Don't know what it's costing you but from the factory, colored seat belts were ridiculously expensive. A suggestion... Take a photo of you car, top down, from the left front corner, maybe standing on a ladder and Photoshop the belts in red to see if it works for you. Yes, the red seatbelts were a factory option. I have yellow belts in my yellow car which are pretty dirty. I think they need replacing, how would you go about that in the UK? Any ideas on the cheapest option? This place does retro seat belt colors. Needs to be in the UK really. 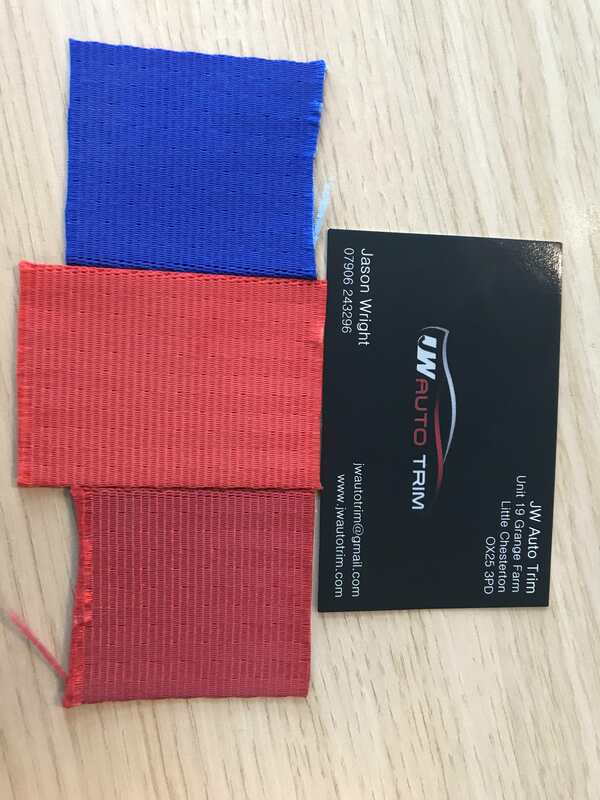 I have done a DIY seat belt color change twice; once on my 993 Turbo and on the Boxster. There is always concern about doing a DIY on such an important safety component. I have no doubt that the seams that I had sown professionally would hold in an accident. Below is a thread I started on the DIY back in 2013. 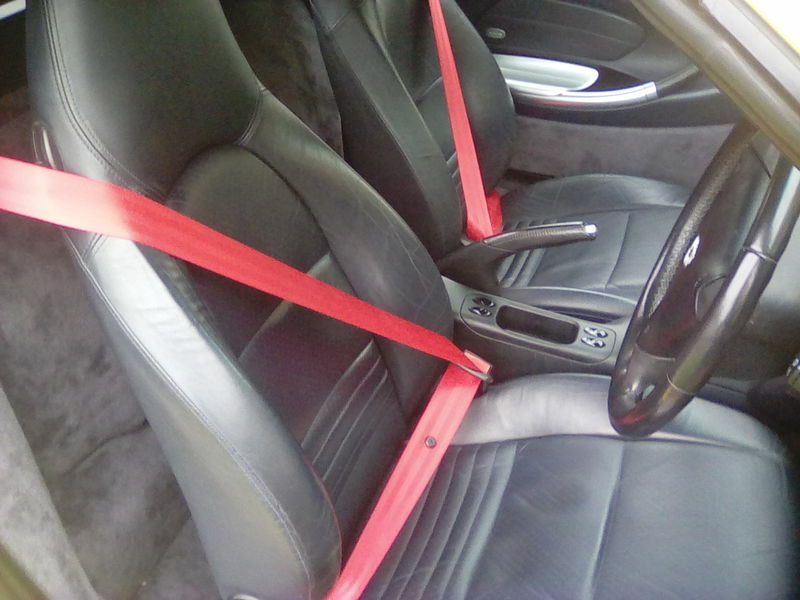 Guards Red, Speed Yellow and Riviera Blue seat belts were an option on the 986 for $330. Last edited by Chuck W.; 08-11-2017 at 07:12 AM. Red seat belts fitted. It was a very easy and inexpensive. I bought 2 rolls of Red seat Belt webbing off eBay that came with red thread and the clasp buttons. Removal of the existing belts is just a case of unclipping the carpeted side pane!s, loosening the 8mm bolt on the plastic arm at the top, removing a screw that's halfway down. The trim panel should lift up and off now. After that there is just 3 17mm bolts. One for the cassete, one for the shoulder and one on the sill. I cheated and passed the belts to my mechanic friend who then fitted the new webbing. He then took them to the tailor shop near his shop for the stitching to be done by an expert. I then fitted then back into the car and added the buttons. Total cost: £20 for webbing, £10 to my mechanic and £10 for the tailor. Any links, especially advice on the tailor who is confident enough to do the stitching? Any shoe repair shop should be able to do this for you.